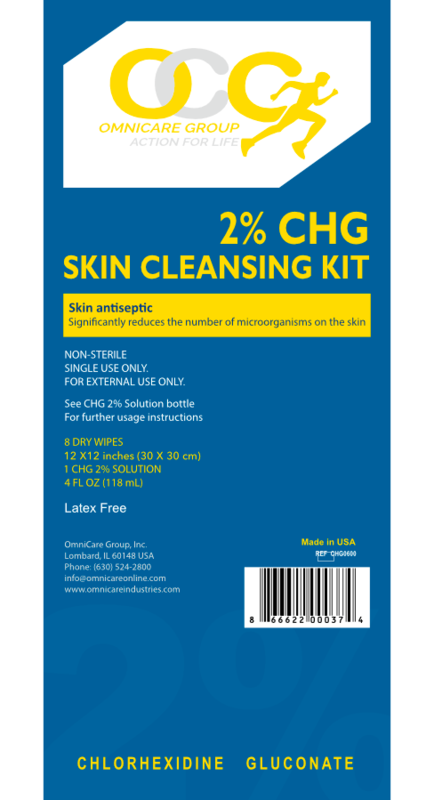 OCG 2% Chlorhexidine Gluconate (CHG) Cloths are an easy way to take charge of your pre-surgical care and reduce your risk of developing a surgical site infection (SSI). It significantly helps reduce bacteria that can cause infection, including MRSA and VRE. According to data from the Centers for Disease Control and Prevention (CDC), there were an estimated 721,800 HAIs in the US in 2011, including 93,300 catheter-associated urinary tract infections (CA-UTIs), 157,500 hospital acquired pneumonias (HAPs), 71,900 primary bloodstream infections (BSIs), and 157,500 surgical site infections (SSIs). Among patients with these iatrogenic complications, 75,000 died, either with, or from, their HAIs (2). While the number of BSIs and SSIs decreased by, respectively, 50% and 17%, there was no change in that of CA-UTI (3). These numbers continue to represent a sizeable burden of morbidity and should, ideally, be reduced to near zero (The New England Journal of Medicine). Bathing patients with 2% chlorhexidine gluconate-impregnated cloths (CHG) is an established practice at Baycrest. Our previous studies have demonstrated strong MRSA-preventive properties of CHG bathing practice - the rate of MRSA transmission on intervention units dropped from 4.99 to 0.88 cases per 1,000 patient days - an overall rate reduction of 82% (ClinicalTrials.gov). For Case or more quantity please submit a Request for Quotation.